He, however, took a jibe at the BJP saying that it cannot free Hyderabad from the Majlis. 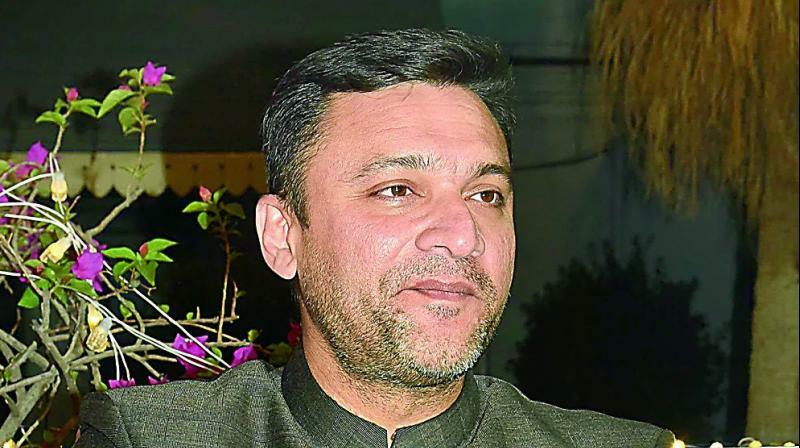 Hyderabad: MIM leader Akbaruddin Owaisi on Sunday hinted that this may be his last election as his health condition was not well and doctors had even advised for dialysis. He, however, took a jibe at the BJP saying that it cannot free Hyderabad from the Majlis. “Indeed in 2019 we would make India free from Prime Minister Narendra Modi and the BJP,” he said at a road show in Nampally constituency. The MIM leader said Mr Modi had said “Mother Ganga was calling” and spent Rs 7,000 crore on cleaning the river but it continued to be polluted. “The Ganga is crying that sewage is acceptable to her, but not Modi and RSS. The Ideology and philosophy of the BJP, RSS, Bajrang Dal and the VHP is dirtier than the sewage,” he said. Mr Akbaruddin Owaisi said the Prime Minster had promised to end unemployment. He asked the people whether unemployment and corruption had ended and had the value of the rupee improved. “Modi had claimed that he would take 10 heads of Pakistani soldiers for a single head of an Indian soldier. Modi is silent on Kashmir and protests in Gujarat, Haryana and Rajasthan. He has failed on all fronts and to hide his failures he is raising the issues like ghar wapsi and gau raksha. They are killing Muslims in the name of beef. Gau rakshaks have no courage to check beef exports whose value has reached `2 lakh crore in four years,” he said.